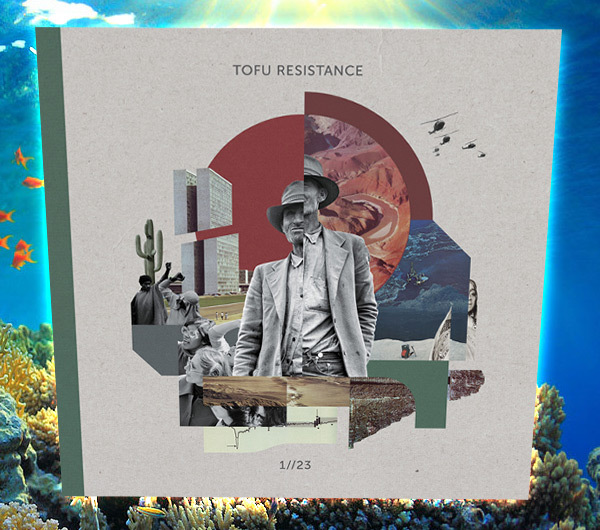 Exploring rhythms and instruments from all over the world has always been a motive in the music of German producer Tobias Kleine aka Tofu Resistance. His full length debut following a 7“ release on the label YNFND shows him expanding, deepening and developing his passion and techniques in a fusion of various influences. Although sampling still plays a key role in his productions, Kleine plays most of the instruments featured in the album, from Fender Rhodes inspired synthesisers to his Brasilian berimbau or the asian jaw drum. Originally a trained drummer, you can hear his focus on rhythm and percussion without losing sight of harmonies or intrumentation. 1//23 is a stunning debut with depths and edges that dive into colorful downbeats and shapes, often creating mystery yet solidity, as the album title promises.